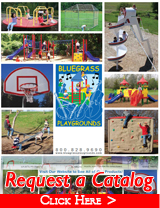 These super colorful , attractive and affordable early childhood playgrounds are meant for any application: church playgrounds, day care playgrounds, even city park playgrounds and apartment complexes. Since they are surface mounted for easy installation, they are even popular for residential playgrounds. 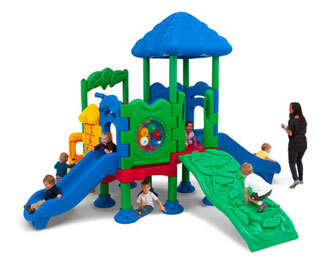 They offer a variety of activities and are made of heavy duty, UV protected , rotation ally molded polyethylene plastic. 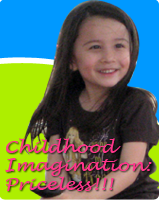 Fun and specifically designed for 2-5 year old age group.